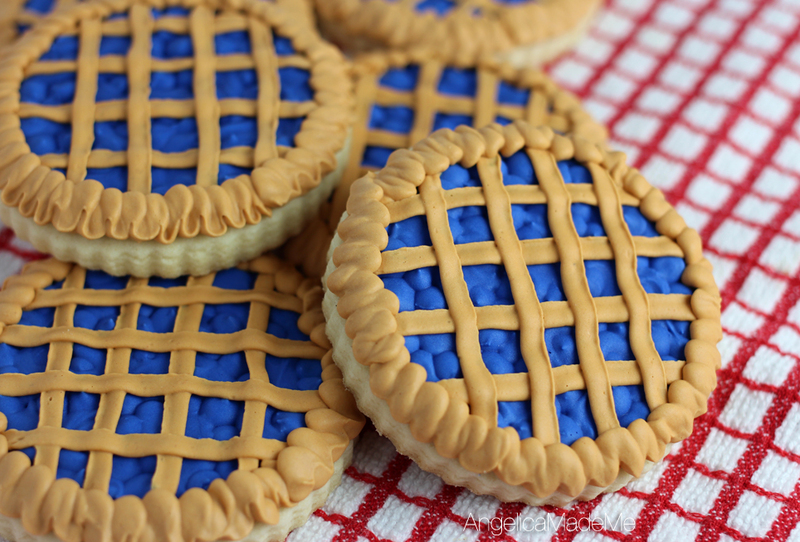 I changed the white and purple royal icing I had on hand into this vibrant blue and pie-crust color, or at least the closest I could manage to pie-crust color, which is a mix of yellow, ivory and brown. 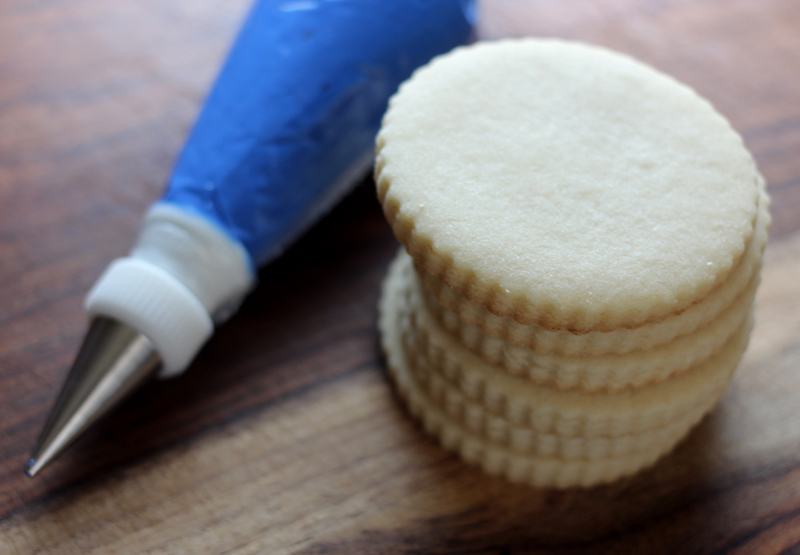 The blue royal icing was polka-dotted all around the plain cookie. I left it to dry for about 15 minutes, until the edges were dry a bit, and then I went back and filled in the empty spots with more blue icing. I really just wanted some type of overall texture and not a flat blue surface. After the filling was left to dry for a few hours, I nabbed a petal piping tip and added a faux lattice pie top. Using the same piping tip, I then went back around the entire circumference of the cookie with a little zig-zag motion to create the exterior pie crust.